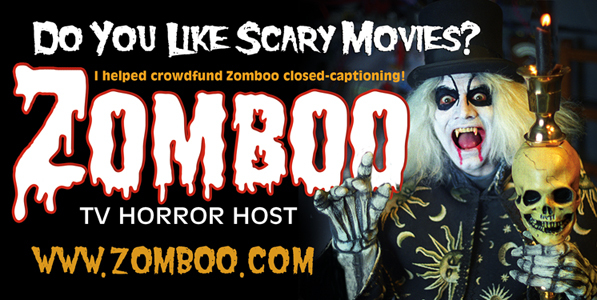 Zomboo's House of Horror Movies : The World's Best Horror Host Around! Click on the bumper sticker below to get more information on donating! Have Zomboo in Your Area! 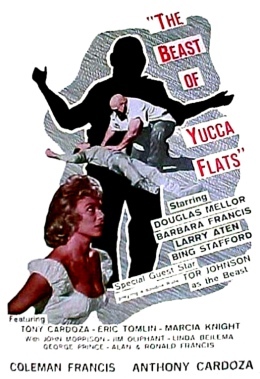 Beast of Yucca Flats was released in 1961. Dr. Joseph Javorsky, an out-of-shape Russian scientist, defects to America and a bunch of bad-shooting KGB agents are hot on his trail. They chase him into the atomic test site where coincidentally, an A-bomb is about to be detonated. Beast of Yucca Flats stars Tor Johnson, Anthony Cardoza, Conrad Brooks, Bing Stafford, Jim Oliphant, Douglas Mellor, and Alan Francis. Welcome to Zomboo's House of Horror Movies! 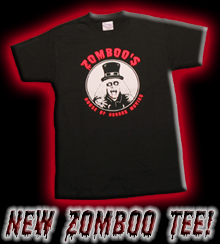 Zomboo is (nearly) world-famous for bringing some of the most terrib... er... I mean scaaary movies ever made into your home. 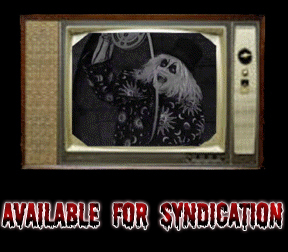 Every week a different movie is broadcast so check back often to see what will be filling the airwaves this weekend. Mini-Z thinks webcomics are cool! Go see one of his favorites! 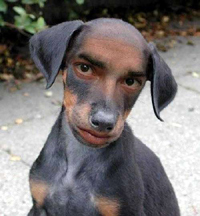 © 2019 ZOMBOO, Inc. ALL RIGHTS RESERVED WORLDWIDE.